The Annie striped long sleeve top is soon to become her favourite. 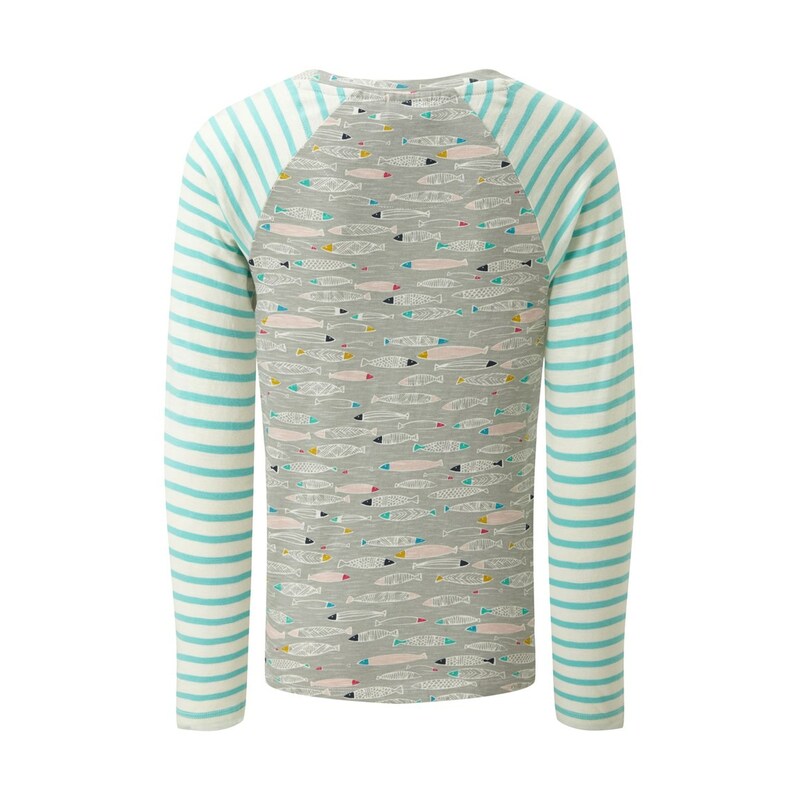 This super-soft, 100% cotton top is great to add a splash of fun and colour into any outfit. 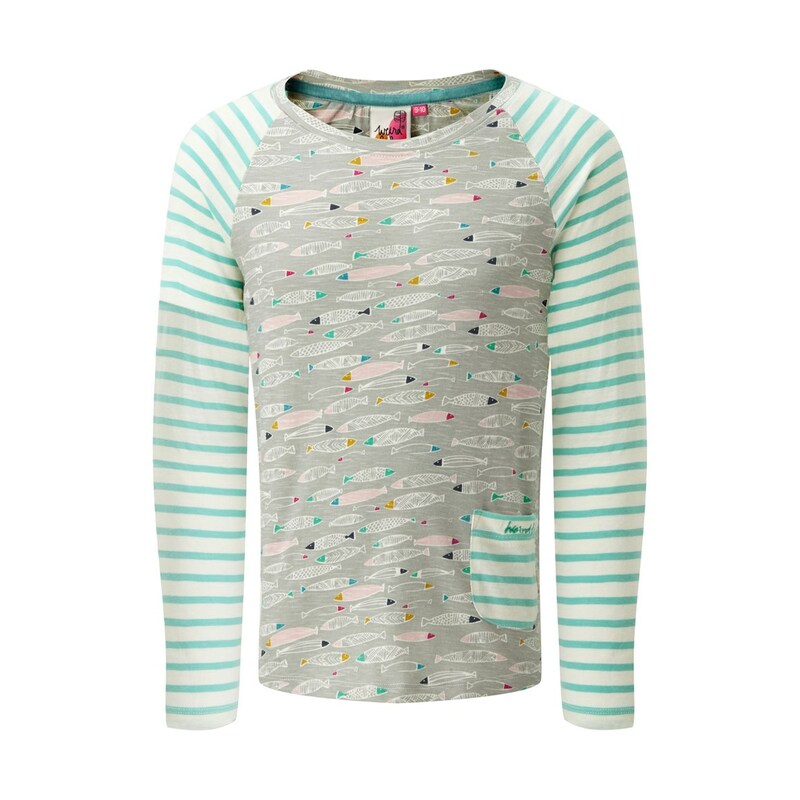 The striped pattern to the arms, combined with the quirky fish print to the body make for a colourful top that looks great with jeans, skirts or shorts. With a patch pocket to the left hem featuring an embroidered Weird Fish logo, she'll be able to show she's a Weird Fish fan just like you. This top is a great addition to her existing wardrobe, she'll love the bright colours and patterns - well who wouldn't? 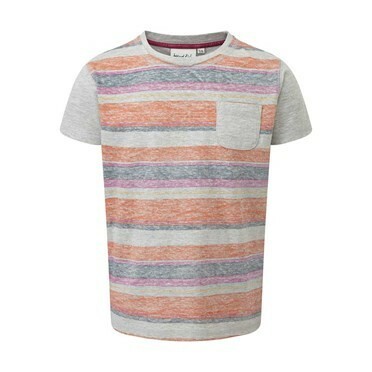 Nice T-shirt, good quality and a bargain in the sale. Great top in warmer weather & another kool design from WF.